In her latest post, guest columnist and pet trainer, Melissa Grant, at Le Chic Pet in Issaquah introduces readers to some of the most unusual dog breeds to be found at local dog parks. When you go to your local dog park, you see all sorts of America’s favorite dog breeds. Most specifically the number one breed, Labrador Retrievers, but you also a whole park full of Golden Retrievers, Labradoodles, Beagles, Pugs, Yorkies and Schnauzers. Tibetan Mastiff- I had the pleasure of working with one of these stately dogs once. Her name was Lola and she was impressive and intimidating. These dogs were bred to be guard dogs of flocks, herds, tents and villages in Tibet and Central China. 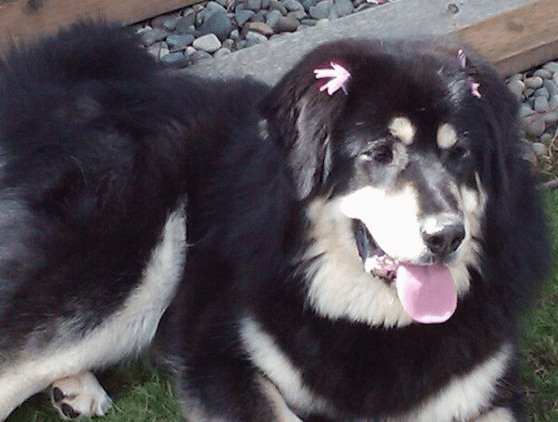 They aren’t truly Mastiffs, but more mountain dogs – a more apt name would probably be Himalayan Mountain Dog. These dogs can grow to 160 pounds and 30 inches tall with a bear like coat. They are rare and expensive around these parts. Not an easy dog, they tend to be stubborn and unmotivated by the things that will motivate a lab. But still a sight to see. 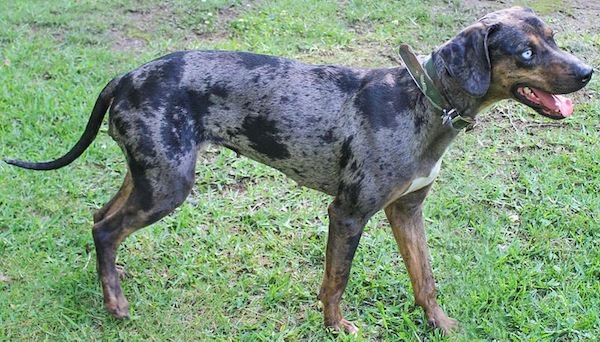 Catahoula Leopard Dog- This dog is believed to be the first breed developed in the United States. It is named for Catahoula Parish in Louisiana. Its origin is somewhat in question, with some theories saying it is related to an ancient Native American dog and some saying it is related to the red wolf. No one knows for sure, but it is an interesting looking dog for sure. The most popular has a blue merle coat and blue glassy eyes. Some are red merle or brindle. They were bred for hunting wild boar and are a tenacious, intelligent and good-natured animal. A good family dog if you can expend that energy in a positive way. Peruvian Inca Orchid- This dog has been around since 750 AD and I have to say, it is one of the most unusual looking dogs I’ve ever seen. 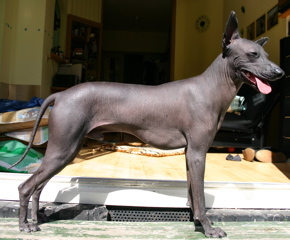 of several breeds of hairless dogs, they are rarely seen around these parts. I did hear of one once, but I have yet to see one. Depictions of this dog have been found on ancient ceramics and are believed to be protected from extinction after the conquistadors conquered Peru. It is a sight hound and needs a fair bit of activity to make it a pleasant family member. Not an outdoor dog, it will require sunscreen, coats and regular baths to keep it comfortable. Karelian Bear Dog- I live out in North Bend and I have seen a couple of these walking along the river trail. I’ve also seen videos of bear releases into the wild with these dogs – hot on their chubby tails. Originally from Scandinavia, it was bred to hunt aggressive game like wild boars and bears. They have a Spitz body type and a black coat with white markings. Here is a short video showing these dogs in action managing bears. Chinook- This rare dog is the descendant of a famous sled dog named Chinook. In the past, this breed was named one of the rarest, and at point only 125 existed. They are no longer very good at being sled dogs, but are said to be excellent carters given a temperament more amenable to training than Malamutes and Huskies. They’ve grown from only twelve breedable dogs to New Hampshire’s state dog in 2009. 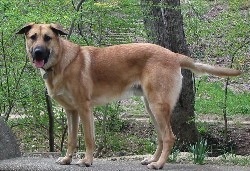 The Chinook is a large dog that can weigh up to 90 pounds and stand 27 inches at the shoulder. Not seen in the western US very much, it is growing in popularity in the eastern US.